This Essential Oil Blend is compounded with essential oils that have been historically associated with pain relief and elimination of toxins. The Joint Ease essential oil blend is compounded with essential oils that have been historically associated with pain relief and elimination of toxins. This pure and undiluted essential oil blend can be added to any carrier oil or cream (2 drops per teaspoon) and applied to joints. 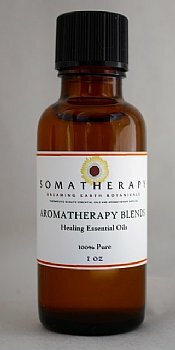 Also soothing: add 3 drops to a warm bath (dilute with a carrier oil first). A synergy of 100% pure Essential Oils of: Roman Chamomile, Black Pepper, Ginger, Juniper, Marjoram, Spanish Rosemary, Lavender and Vetiver. Add to our Massage Base for massage (use 2 drops per teaspoon / 12 drops per ounce) or purchase our ready to use Joint Ease massage blend. Review: The two essential oils that I bought from you are wonderful The Joint Relief is really working wonderfully and I didn't think that it would. My nurse friend was thrilled to hear it too. They are both home runs. Review: I have suffered with arthritis in my lower back for more than 20 years. After trying this arthritis blend the pain went away and has not returned. I love this stuff!